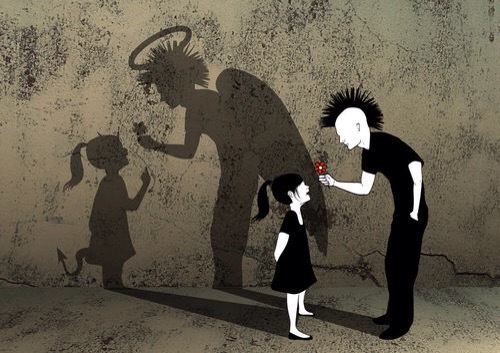 Today’s insight journey led me to the idea that appearances can be deceiving. We have all come across people who look good and seem to have it all together, entrees on menus with descriptions that make them sound as though they are exquisite delectables, and even cars that at first glance appear to have been manufactured just for us. We have encountered and consisted these treasures with anticipation and expectation only to finally spend time with them and discover that they are nothing like what we originally perceived. And that’s not even the kicker though. The kicker is that had we taken the time to ask some pertinent questions, do a more extensive preliminary evaluation, and try to gain a better understanding of those treasures while setting our emotions to the side before investing in them, we would have spared ourselves the unnecessary disappointment and anguish that we ultimately experienced. Today I am thankful for the times when I am pleasantly mistaken about something or someone. As much as we as a society want to give the impression that we never pass judgment on people or things, the reality is that we do. Now, the judgments that we make may vary based on the foundational aspects and the motivations associated with them, but they are still judgments all the same. Some judgments are based on negative principles, whereas others are based on positive ones, and that just happens to be the reality that we live in. I do not plan to delve into the issue of whether this is right or wrong in this blog entry though. What I will discuss, however, is my appreciation of the moments when my judgments concerning someone or something were off for whatever reason and the result of which was that I was pleasantly surprised. Take for example a very close friend of mine. He and I did not seem to agree on much when we initially met – I liked this music artist but he did not, I thought this concept was a good one but he did not, etc. And for a while there things continued that way. Now, I must point out that our disagreements were never disrespectful, mean, or even heated; we just agreed to disagree on whatever it was and then moved on. Well in the midst of all of that disagreeing we got to know each other and built a strong friendship based on a bond that has endured throughout all of these years. I am not sure as to what my take on him was during those early moments of our friendship, and I am not certain as to what his take on me was. I do know that, among other things, we were both two opinionated people with strong convictions. Thankfully, we were also open minded people who believed in seeing past our particular viewpoints so that we could see the other person for who they were. We could have easily allowed our differences to cloud our judgment regarding each other, which would have likely prevented us from taking the time to get to know each other. And had we allowed that to happen, we would have missed out on a friendship that is both indispensable and timeless.